When selecting your seats please close gaps, don't leave a single seat between yourself and the next person - thank you! Come and join Majors ‘n’ Minors, as they present a double-billed production of two popular shows! G2K The Sound of Music includes all your favourite characters and songs including “My Favourite Things”, “Do-Re-Mi” and “Edelweiss”. The storyline has been condensed for family audiences. The curtain-raiser is the timeless classic “The Jungle Book Kids”, featuring the lovable Baloo, Mowgli, Bagheera and more! Maria: Amelia de Farias, Liesel: Paige Tyson, Friedrich: Callum Nielsen, Louisa: Zofia Krzyzynska, Kurt: Dallas Thomson, Brigitta: Emmy Malins, Marta: Jaime Ruiterman, Gretl: Esmae Utatao, Sister Margaretta: Rochelle Mitchell, Sister Sophia: Sophia Larsen, Sister Berthe: Joanne Hii, Frau Schmidt: Jamie Whitney. Mowgli: Christopher Walker, Bagheera: Analeise Larsen, Shere Khan: Olivia Carpenter, Shanti: Kaitlyn Tanoa’i, Colonel Hathi: Aimee van Vegte, King Louie: Millie Jennings, Kaa the Snake: McKayla Chapman. Maria: Meg Hargraves, Liesel: Alyssa Martinovich, Friedrich: Ben Shackleton, Louisa: Madeleine Walker, Kurt: Campbell Prowse, Brigitta: Alorah Gillgren, Marta: Annabelle Stevens, Gretl: Alaina Smith, Sister Margaretta: Amelia de Farias, Sister Sophia: Sienna Baker, Sister Berthe: Lexie Sharp, Frau Schmidt: Amanda Shore. 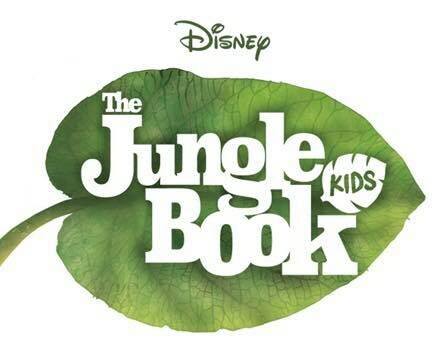 Mowgli: Liam Walker, Bagheera: Brooke Tietjens, Shere Khan: Nisha van Dijk, Shanti: Honey Schaumkel, Colonel Hathi: Emerson Colquhoun, King Louie: Isabella-Rose Beazley, Kaa the Snake: Millicent Preece. Captain: Jarrod Shirtcliffe, Max: Seth Green, Rolf: Liam Farrell, Mother Abbess: Charlotte McDonald, Franz: Carlin Lee, Herr Zeller: Lego Rico, Admiral von Schreiber: Luke Shackleton, Dance Troupe: McKayla Chapman, Emily Simmonds, Analeise Larsen, Kaitlyn Tanoa’i, Arabella Morgan, Millie Jennings, Yazemin McFarlane, Stephania Eason, Reyven Phillips, Emma Hii.